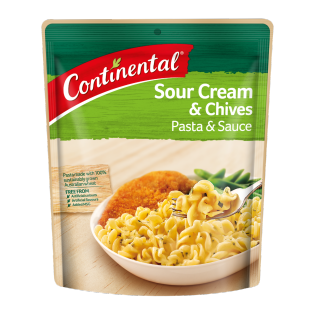 This Sour Cream & Chives Pasta & Sauce is the perfect blend of sour cream and chives. Quick and easy to make, it produces wonderful results the whole family will love. Pasta & Sauces are available in a standard size or a value pack.